Being a regular henna user and fan I finally got round writing a post about why henna hair dye is great and how best apply it to make the most of it. Not all henna available is the same and the way you apply it can make a massive difference to the end result. Henna (Lawsonia Inermis) is the most ancient hair dye around today. It was used to dye hair by Egyptians to rejuvenate mummies, by pre-Raphaelites artists as a mark of belonging, by East Indians, for ceremonial uses such as dyeing the beards or making Mehandi designs on hands and feet as a sign of joy. In the ayurvedic medicine Lawsonia Inermis is also also used as a medicinal remedy for all sorts of ailments. 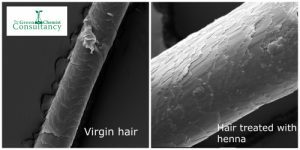 Human hair is usually dyed by opening its cuticle (the outer protective hair layer) using alkaline solutions based on ammonia. This lets the dye penetrate inside the hair shaft giving a long term colouration. This method is effective, however not hair friendly due to the damaging effects of alkaline solution on the hair and the scalp which can get red and irritated. Henna works in a completely different way, and it is skin and hair friendly. 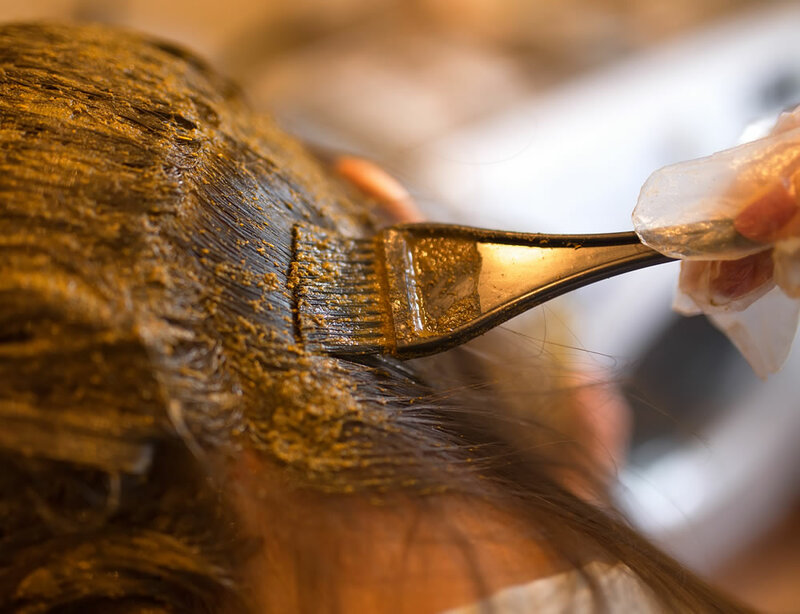 When the henna leaves paste is applied to the hair, its active dye molecule, Lawsone, gradually migrates into the outer layer of the hair binding to hair protein creating a fast stain. The Lawsone essentially sticks to the hair without having to open the cuticle and washes off after a few washings. So in not opening the hair cuticle, there is no hair damage, and no red skin thanks to its skin friendly pH. -the dye molecule content, i.e. with Lawsone it has to be below 1.4% for safe applications. I also had my hair tested to make sure the hair was not damaged by henna applications. Here is the image obtained with an electronic microscope by Plymouth university. As you can see there was no difference between the hair with and without henna. –Do not use oils or cocoa butter in the henna paste. Given the fact that henna is a fast stain, applying it with oil interferes with the staining process. Can you imagine applying water colours on oily paper? As henna tends to dry the hair, instead of using oils to compensate for that, it is best to use yogurt instead. Yogurt is water soluble and is conditioning for the hair thanks to its protein content. –Leave the henna paste overnight before use. New research is showing that the Henna dye molecule needs to be oxidised by air to stain, so exposing the paste overnight helps to increase the henna dying effect. When you look at the way henna stains hair, ie fast staining, it is easy to understand that it needs a nice clean canvas to stick to the hair. When using quality henna there is no need to leave it on overnight or for five hours. Actually leaving it for over 2 hours may cause reactions in the scalp. A good source of quality henna can be found at Phitofilos. I hope this makes feel comfortable about henna safety and perhaps interested in trying it out. Henna is such an amazing plant. If you know of good sources of quality henna or any other useful tips please do share them with us.